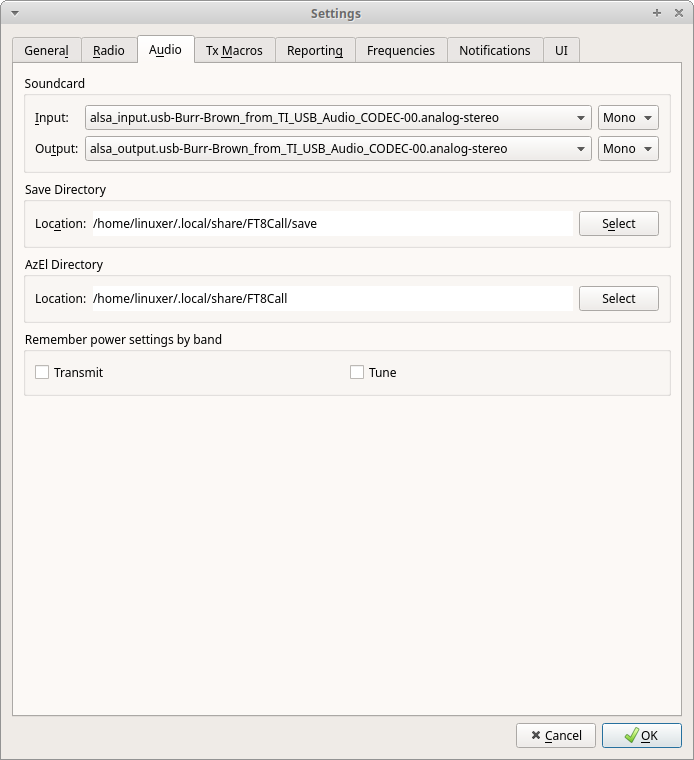 This article shows how to install FT8Call on Ubuntu. But first things first. Some intro into the topic. Chances are if you read this you probably know FT8 well enough. This mode became very popular in mid 2017 on HF/VHF/UHF gaining solid base of users. As there are dedicated fans of FT8 there are also avid opponents of this transmission mode that claim that this are computers talking – QSO is made by PC – not people. I personally disagree with this statement but there are people that taken the extra step and implemented a transmission mode that addresses this issue. It is called FT8Call. 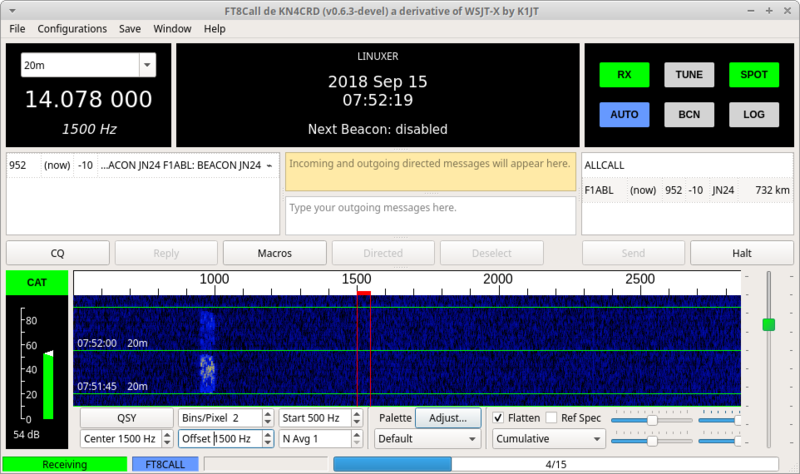 Jordan KN4CRD, FT8Call author says: “It is an experiment to test the feasibility of a digital mode with the robustness of FT8, combined with a messaging and network protocol layer for weak signal communication on HF, using keyboard-to-keyboard style interface”. So it’s main differentiator is free text communication as opposed to FT8 where texts are fixed. FT8Call came to light in the summer of 2018. It’s too early to call it FT8 successor this early but it has some cool features and we can freely experiment with this mode. Keep in mind that FT8Call is still in early development phase so instructions available here might get outdated. At the time of writing this article the latest version of FTCall is 0.6.3. 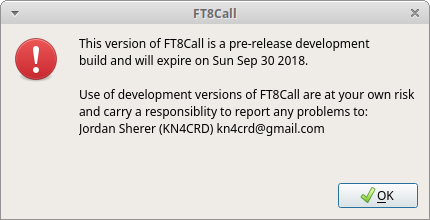 It is worth noting that until the general release of FT8Call development versions only carry a 14 day lifespan. When your version expires you are required to upgrade to the latest version of the application available. Home for FT8Call is ft8call@groups.io website. It contains links to documentation (which is quite good by the way) and FT8Call binaries download but unfortunately you need to login with google or facebook account. There is also detailed design document on FT8Call by its author Jordan Sherer (KN4CRD). As this is open source you can grab the sources, read them or modify and contribute. You can go with appimage build or regular deb file. I pick Desktop Linux (64-bit x86_64, Ubuntu 18.04 deb). Connecting to www.dropbox.com (www.dropbox.com)|162.125.66.1|:443... connected. Selecting previously unselected package ft8call. Thats it! No missing dependencies and hassle. Good job. What and where did it install? Keep in mind that FT8Call depends on accurate time keeping same way FT8 does. More on the subject in Time Synchronization on Ubuntu article. Next configuration window pops up. It’s very similar to the one in WSJT-X. This is how to configure IC-7300 control. It somewhat resembles WSJT-X layout. It’s different though and I still learn how to use it. Configuration file is located here ~/.config/FT8Call.ini in case you want to see what’s there. The directory into which FT8Call writes its data is located in ~/.local/share/FT8Call/. I must say that at the time of writing of this article – September 2018 – there are not too many stations using FT8Call. Looking at the traffic on the group this may quickly change. Hope this helps. Have fun experimenting! More: See my post on running WSJT-X on Ubuntu. Thanks for the helpful wsjt-x setup information on Ubuntu 18.04. I have the mcHF QRP SDR radio and a desktop PC rebuilt with a fresh copy of Ubuntu 18.04. After manually installing wsjt-x 1.9.1 I was getting hamlib error’s when testing the CAT control. Turn’s out that I needed to add dialout and audio to the id then CAT started working under the Yeasu 817 radio configuration. I could not have succeeded without the information found on this website.